Having been an active athlete as a child, Simon sustained minor and serious injuries, which brought him to experience Physiotherapy firsthand for treatment and rehabilitation. During this time, he gained an interest in anatomy and biomechanics which led him to ultimately pursue this in education and professionally. 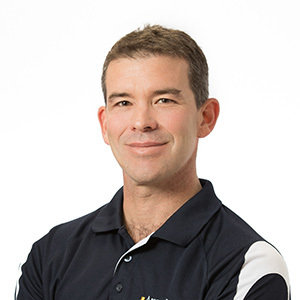 Simon attended the University of Western Australia (1998) and Curtin University (2002) where he obtained a Bachelor of Science in both Human Movement and Physiotherapy. At Arena Joondalup Physiotherapy, Simon enjoys treating patients who present with acute conditions and helping to guide them through rehabilitation back to their full potential. Outside of the practice, Simon is an avid surfer and woodworker who enjoys building furniture. He also likes to listen to music and travel. Get to know more about Simon when you book your next visit with us!